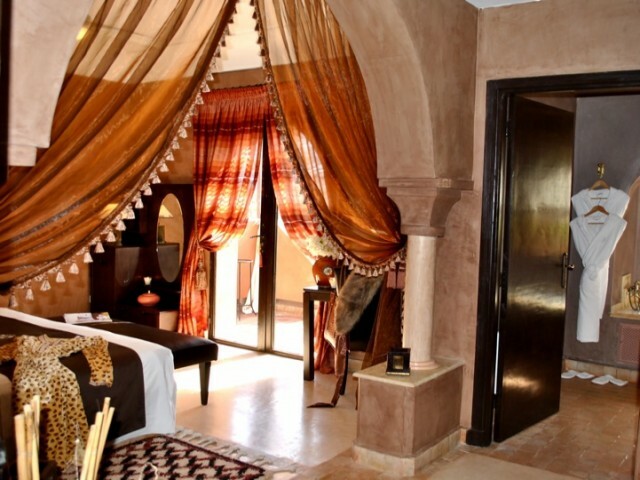 Kasbah Al Mendili is the new jewel of Marrakesh. 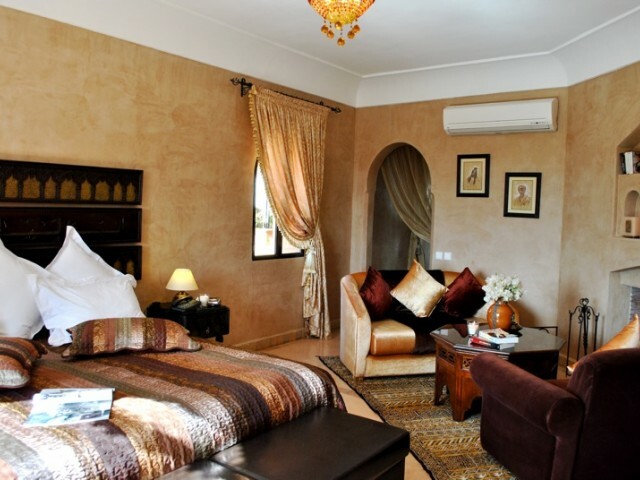 This guest house, built amidst a former olive grove on the edge of the Douar Lamrine Al Mendili, is both a Riad and a Kasbah. A haven of peace and serenity. 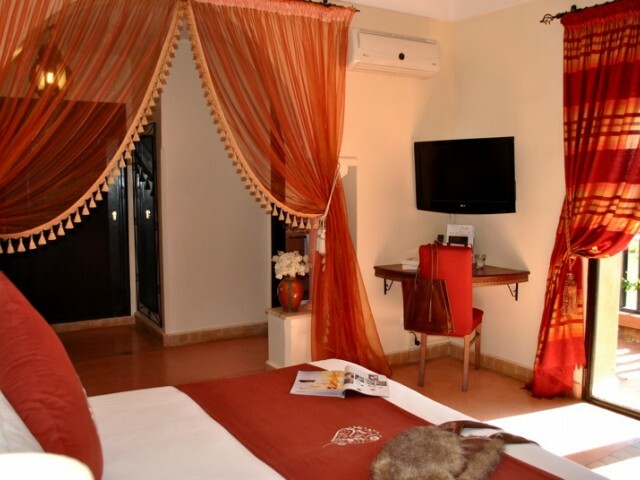 The luxurious accommodations combine beautifully with the refined architecture imagined by the famous architect. 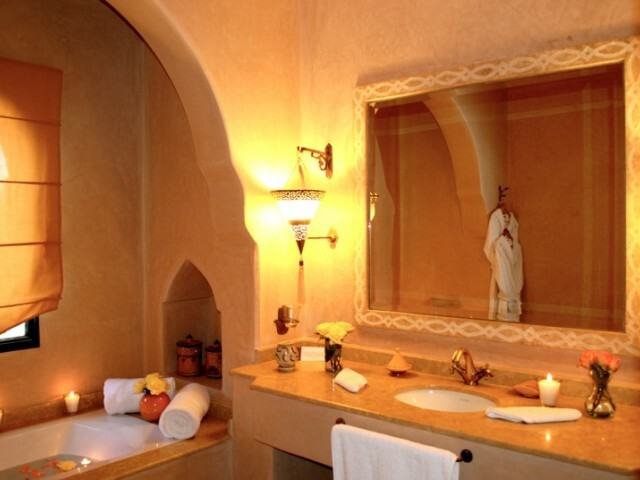 Welcome to Kasbah Al Mendili for a holiday or a short break in an elegant and refined setting with first class service! Catherine and Alain will be happy to welcome you and to offer all their resources in order to make your visit unforgettable! 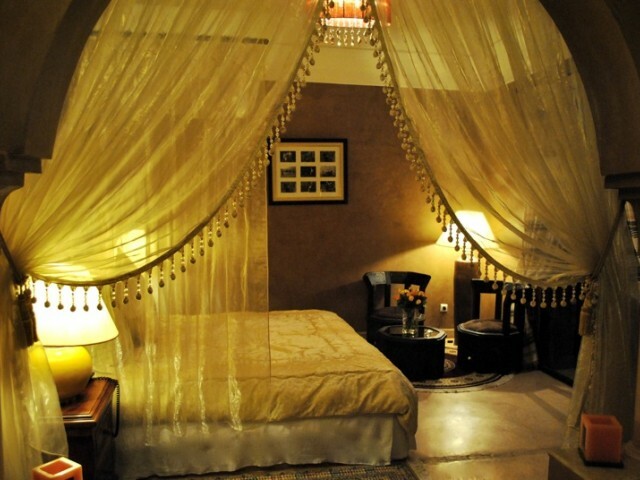 A luxury bedroom decorated with golden yellow hues. 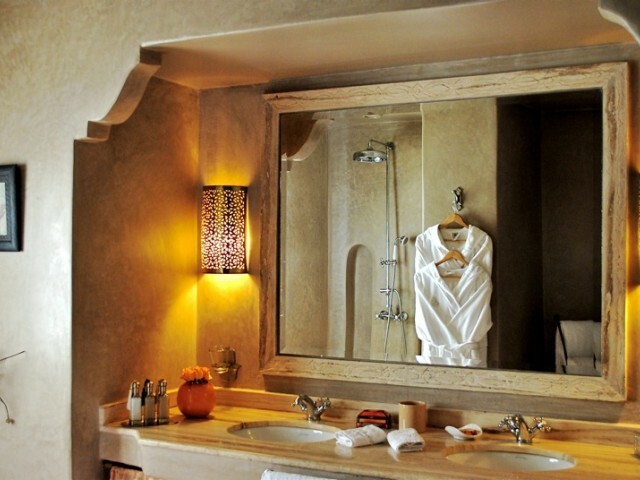 Its spacious bathroom and dressing room are designed to provide you with the best confort, bright. 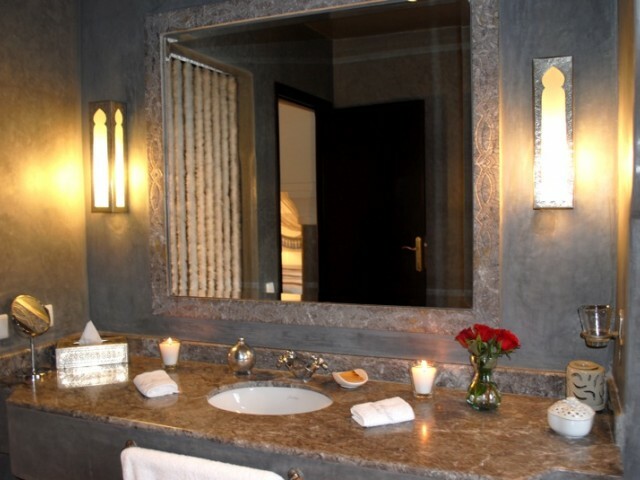 (Bath, console bowls with makeup and a separate toilet)Its private terrace is at your disposal to gaze at the Atlas mountains or to step towards the swimming pool and beach. 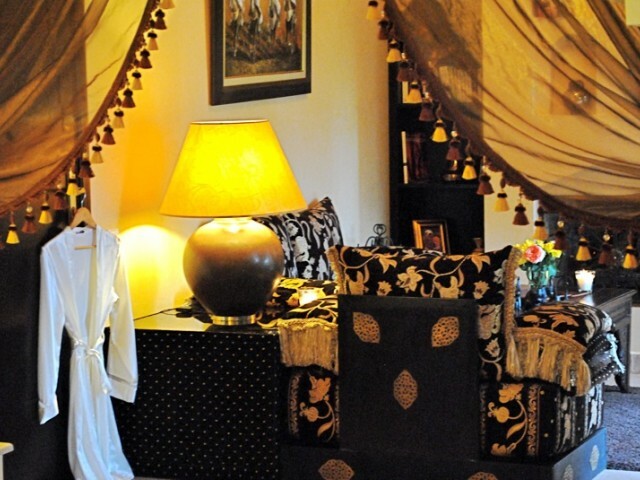 �AYANAE� (an ancient first name in Arabic meaning �a beautiful dark-eyed young woman�).This large suite will charm you with its rich colours, its great comfort and its two private terraces facing the Atlas mountains. 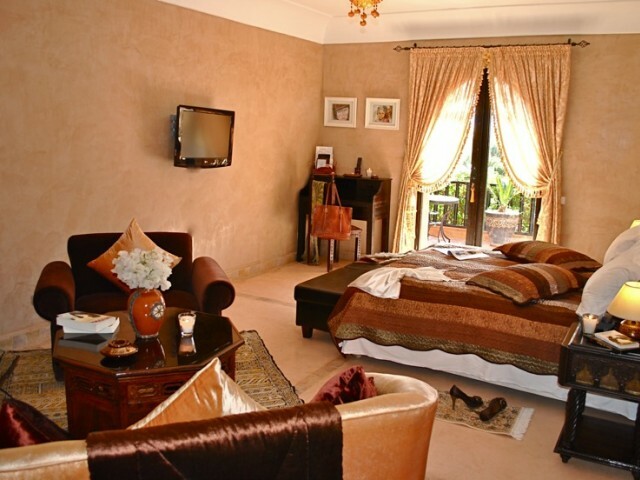 A large suite decorated with rich hues suggesting chocolate and caramel will delight you. 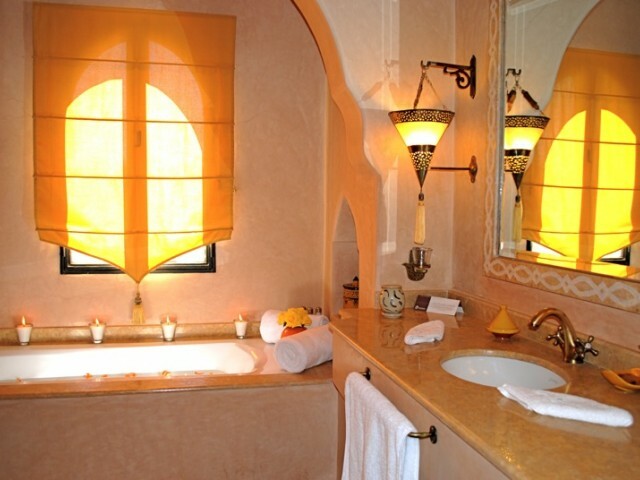 You will relish the comfort of its bathroom decorated with traditional materials of Morocco. 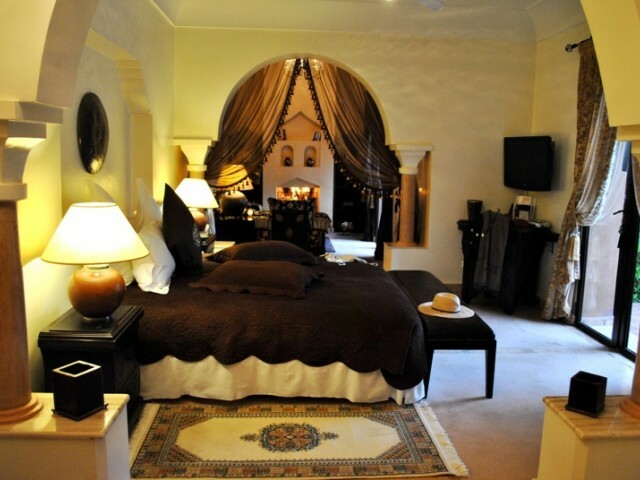 This suite offers two private terraces to enjoy the magnificent views over the Atlas mountains. 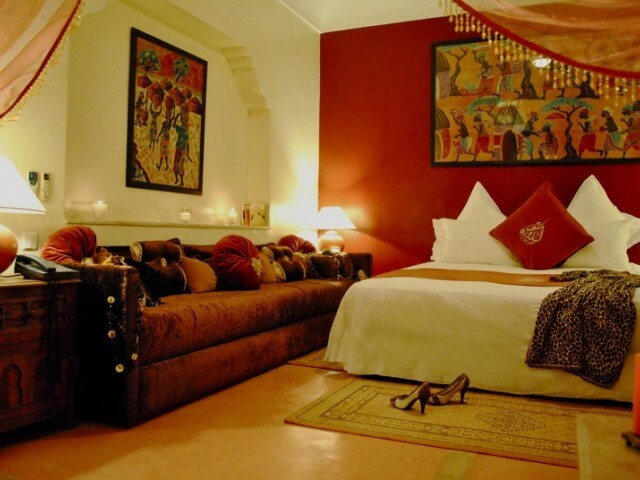 This luxury bedroom is a true oriental jewel. 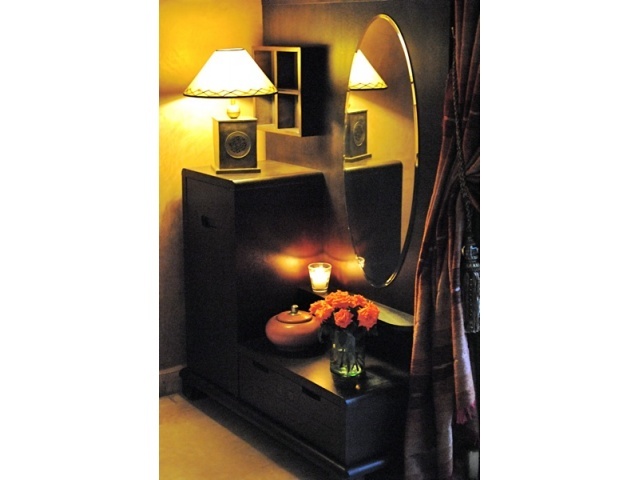 A magic and voluptuous setting. 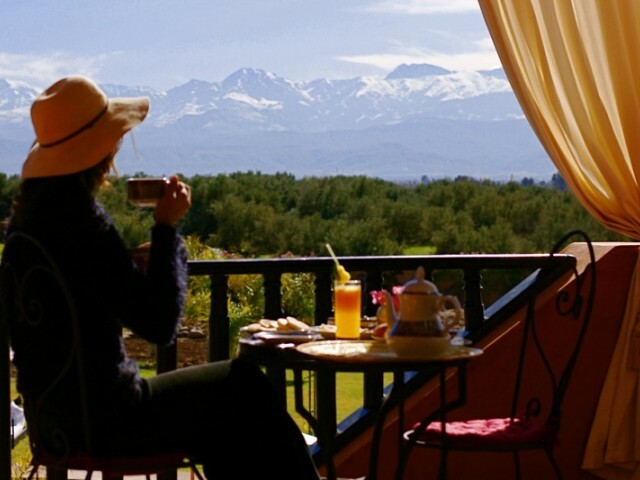 Its private terrace is an invitation to enjoy a journey towards to the summits of the Atlas mountains. 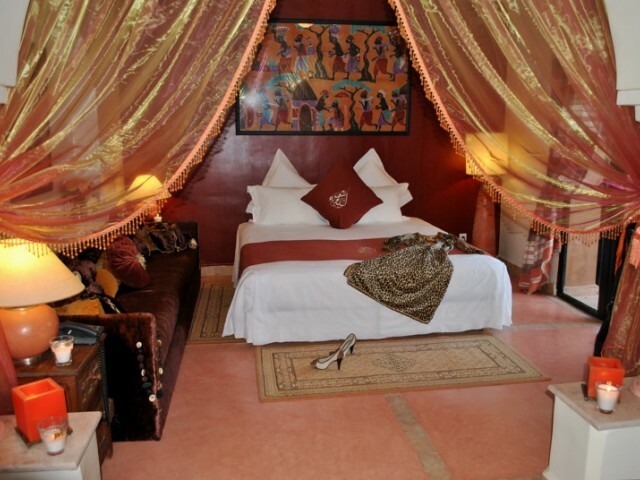 This luxury bedroom with its warm colours appears like an oriental princess eager to relax you. 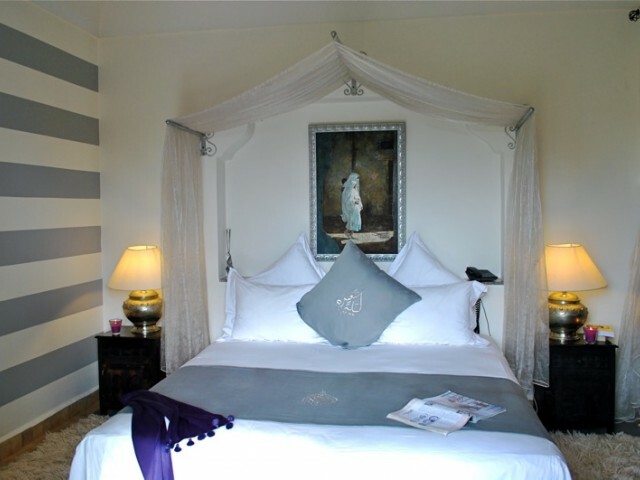 Its private terrace opens onto the beautiful landscaped gardens and the pool and beach, as well as the Atlas mountains. 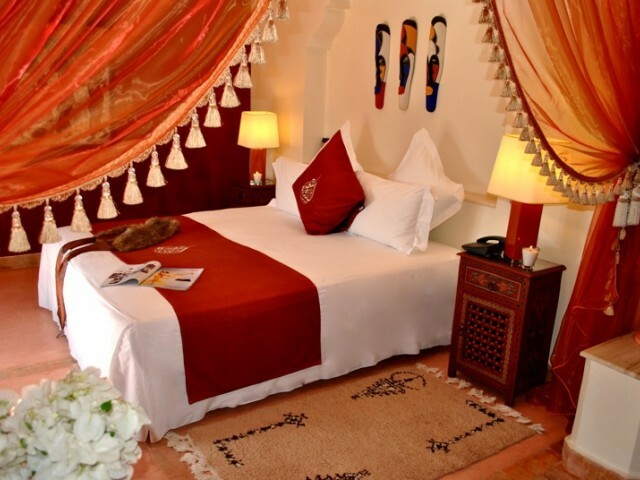 This traditional luxury bedroom reveals a colourful Zouak decoration which conveys a strong Marrakesh flavour. 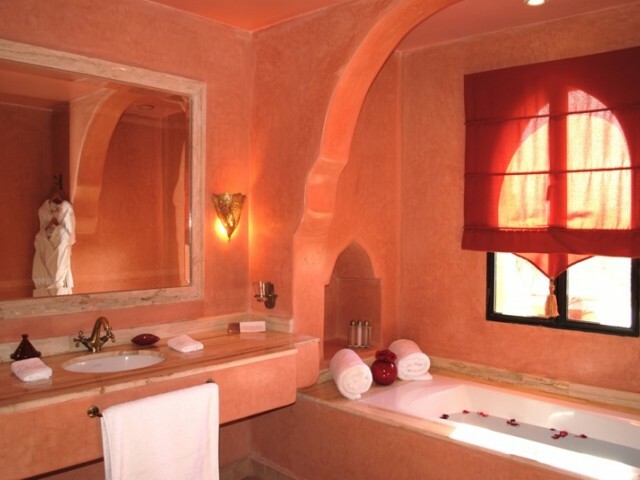 Its private terrace offers an exceptional view over the Atlas valley landscape. 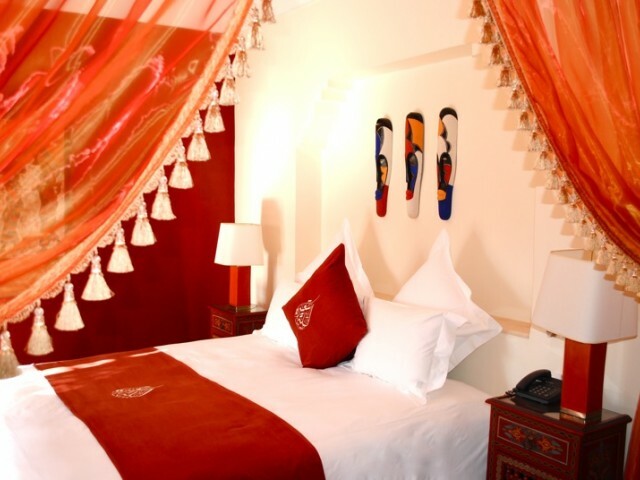 This prestigious suite with the scent of its cedar appointments will surround you with Morrocan art and craft. 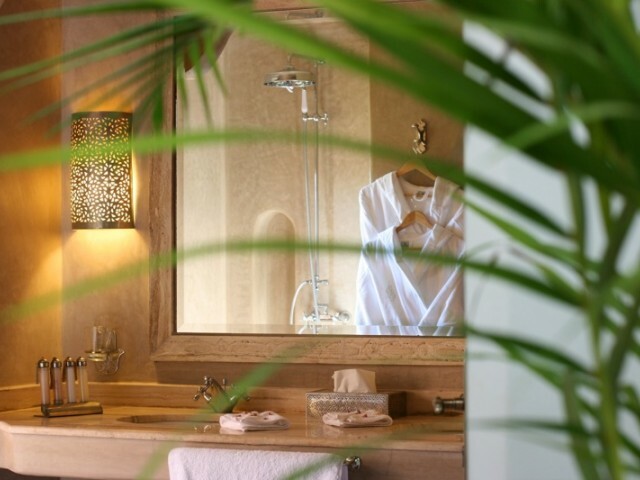 Its spacious bathroom will provide moments of unmatched relaxation and wellness. Its private terrace reveals a magnificent panorama. 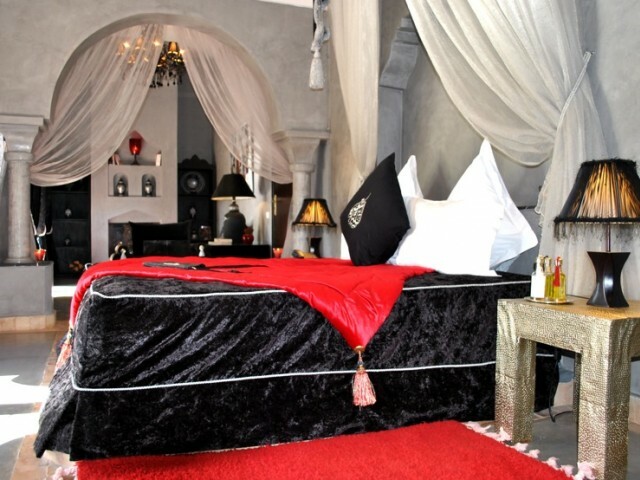 �Chaâr El Assel� means �Honeymoon� in Arabic. 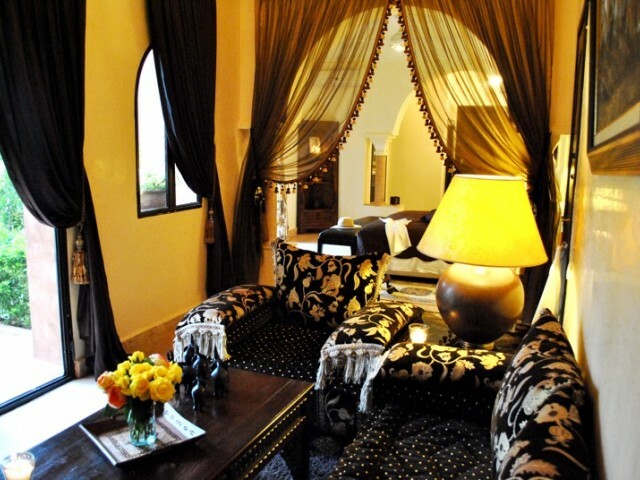 This prestigious suite, suggestive of a thousand and one nights in Marrakesh, will allow you to spend an unforgettable visit. 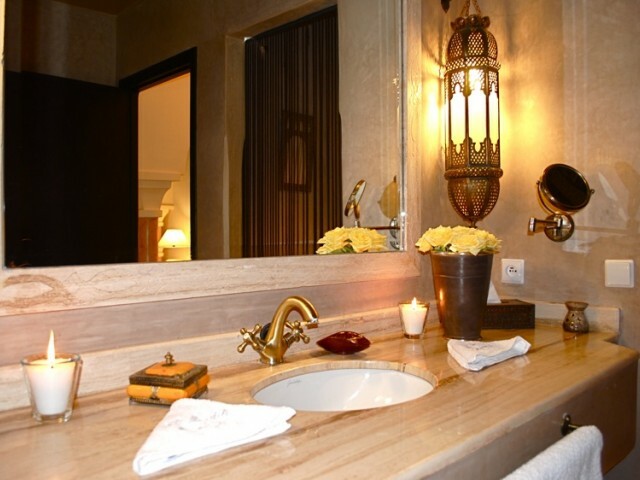 Its pleasant private terrace offers a magical view over the Atlas mountain range, as well as over the landscaped gardens and the pool and beach. 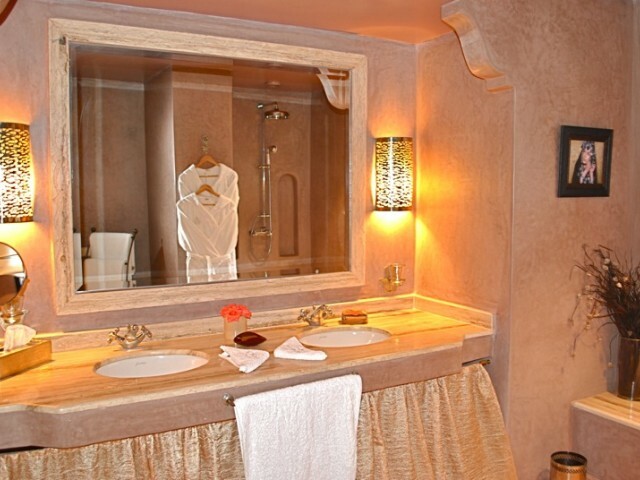 Its bathroom has been given extra care to provide infinitely relaxing moments of well-being. 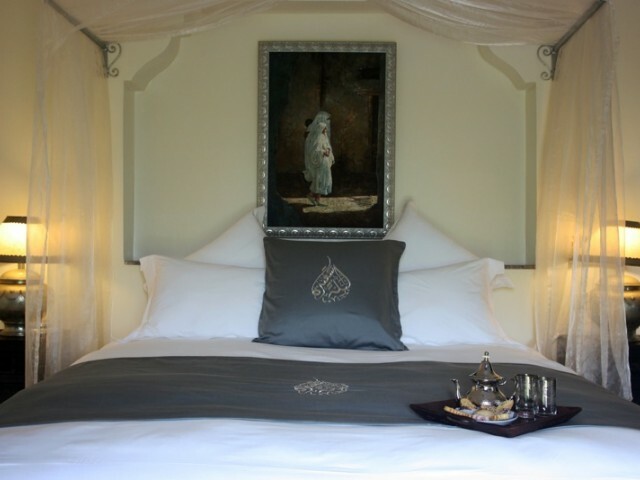 When entering this luxury bedroom, the enchanting cedar scent will carry you away to the Souks of Marrakesh. 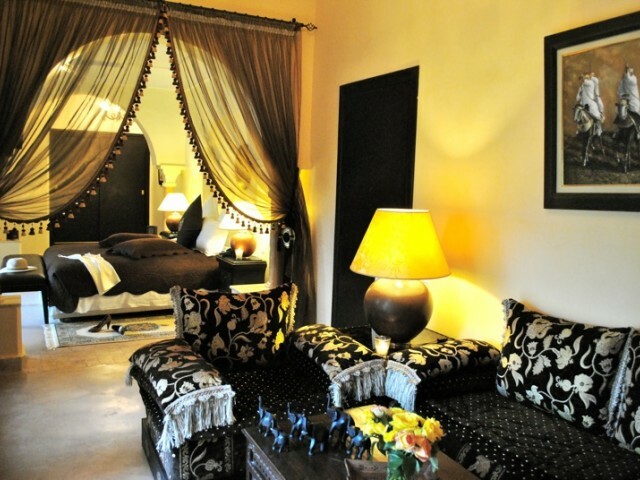 Its private terrace will provide magical views of the Atlas mountains. 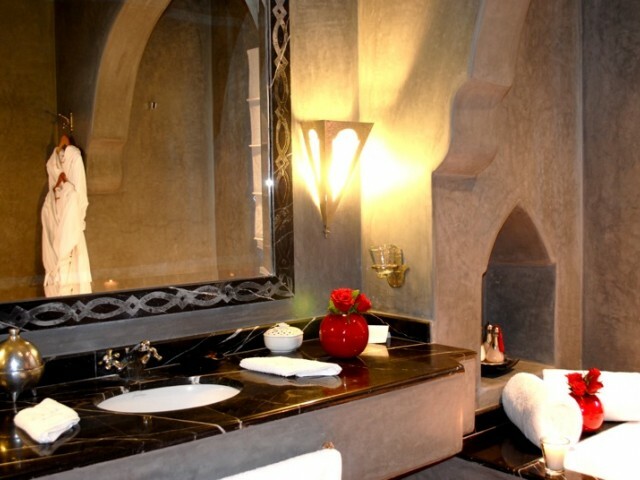 The bathroom and its tadlakt designed with the colours of Marrakesh will offer you precious moments of relaxation. 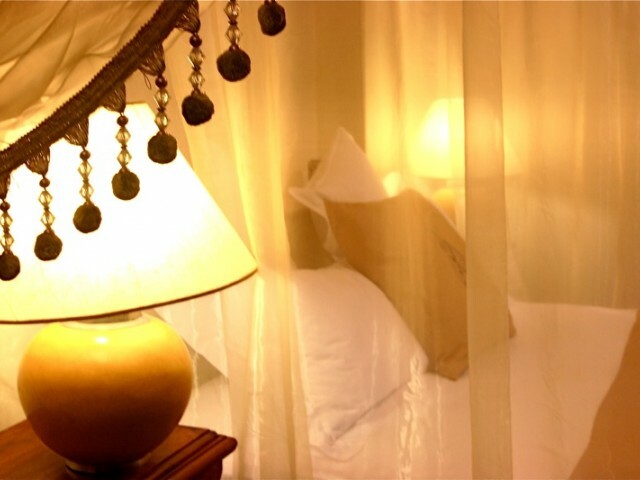 This luxury bedroom reveals a design which is plain and pure for a Zen atmosphere. 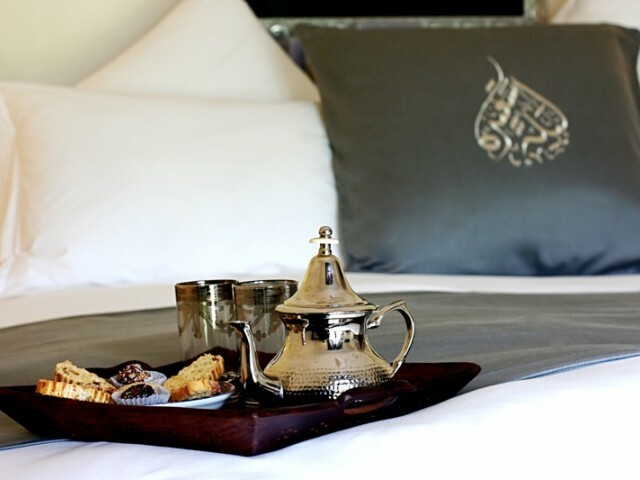 Its private terrace will offer you a peaceful view over the landscaped gardens, the pool and beach and the Atlas mountains. 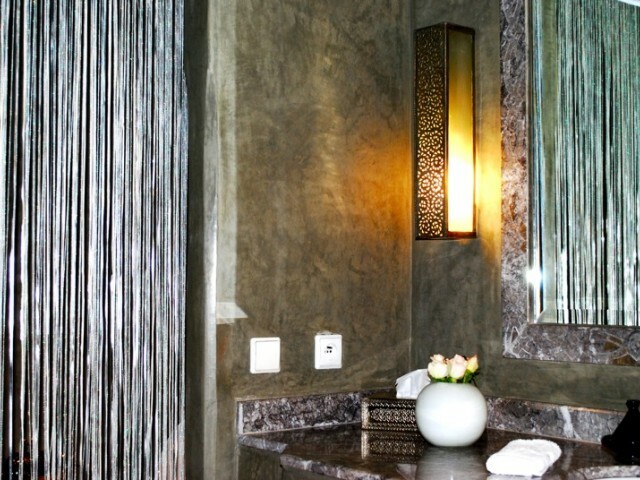 The bathroom and its olive green tadlakt is ideal for your moments of rest and relaxation. 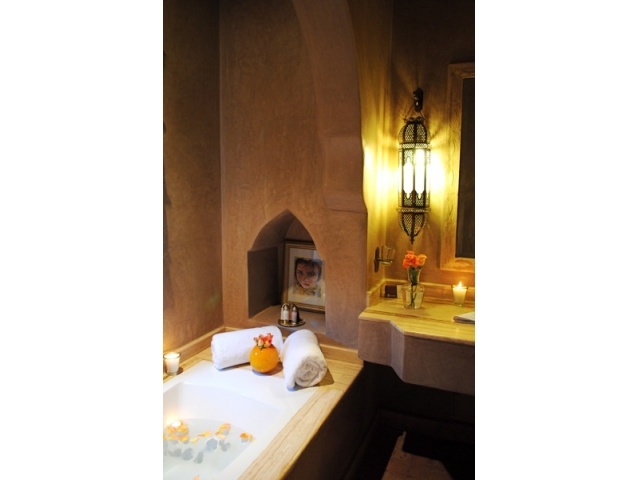 "Rien à redire, juste enfin une adresse à recommander à Marrakech"
SPA �MENDILI�: a magical spot. Tom27, le 15 septembre 2009 "Exceptionnel"
blixen, le 16 juin 2009 "Paradise sur terre!!!!" 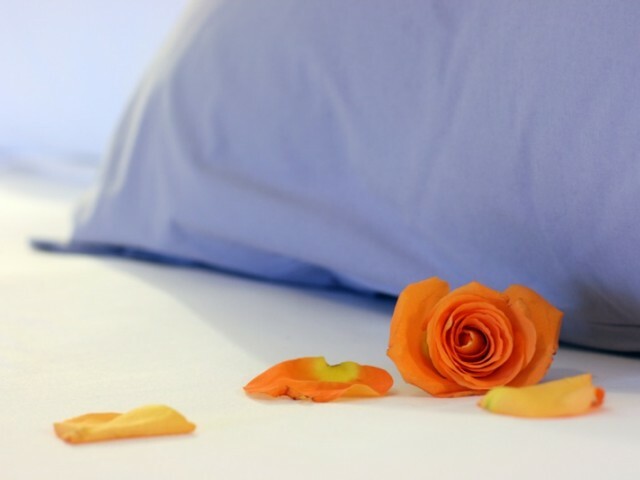 un viaggio nel loro mondo di calma raffinata e d'identità cosmopolita, la cucina é sottile e deliziosa, la spa é un incanto. Un momento di grazia sospeso davanti all'Atlas.GrazieCaterina e Stefano"